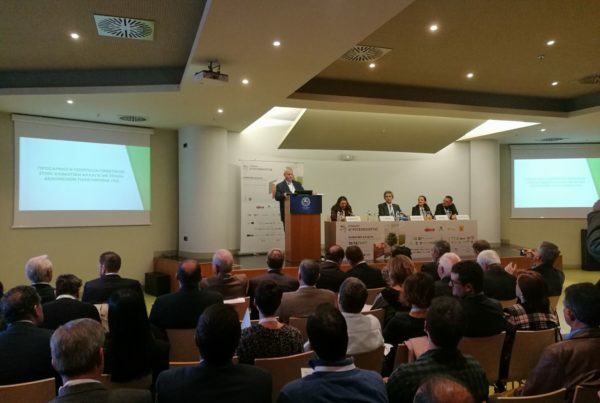 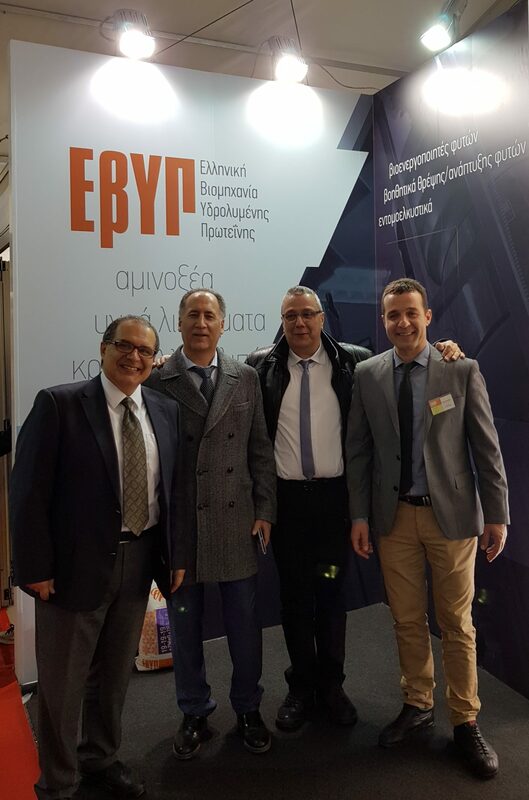 EVYP LLP was present at Agrothessaly EXPO 2019, the famous Agricultural Meeting that took place in Larisa, Central Greece from Feb. 28th to March 3rd, 2019. 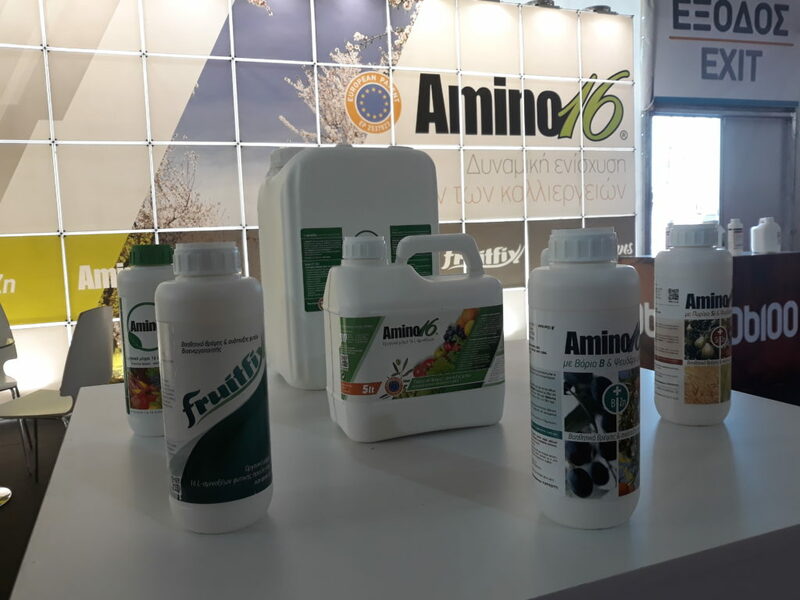 The company’s entire scientific personnel presented the special nutrition range of products, consisting of the ‘’Amino Acid Product Line’’ headed by ‘’Amino 16’’ and, ‘’Threpsis’’, a unique range of Liquid and Water Soluble/Crystalline Fertilizers. 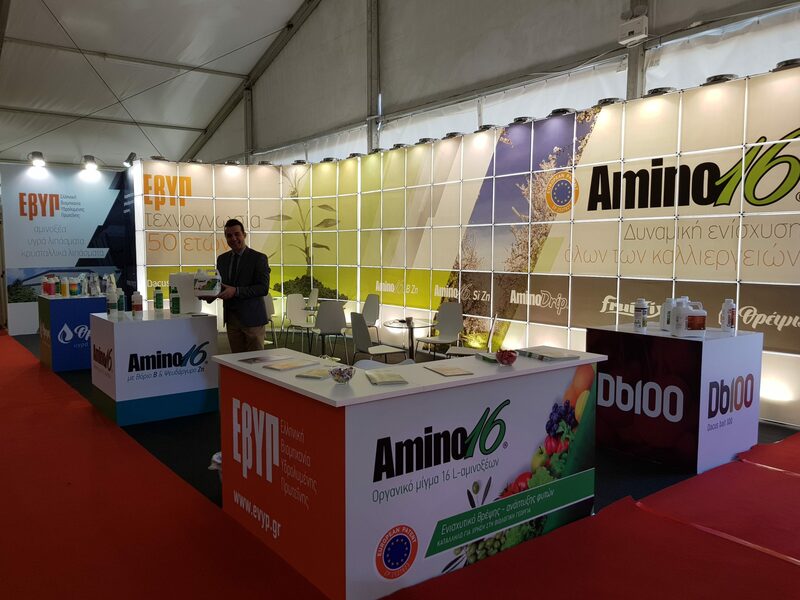 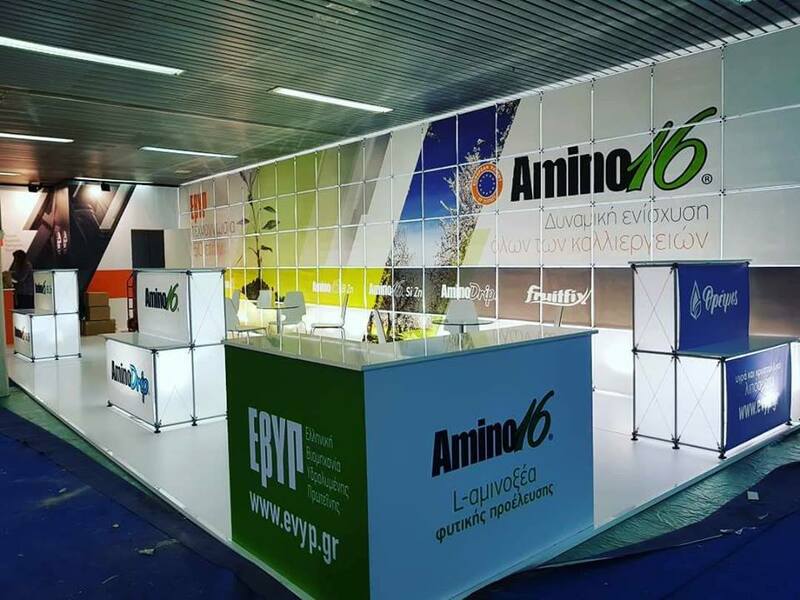 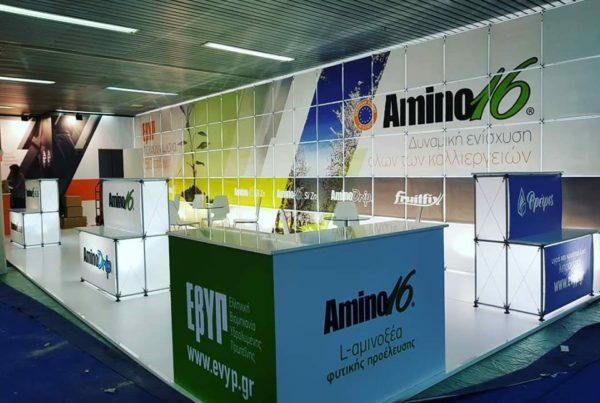 During the EXPO, EVYP had the opportunity to support Innovative Nutritional Solutions for all Crops, always in excellent combination with ‘’Amino 16’’. 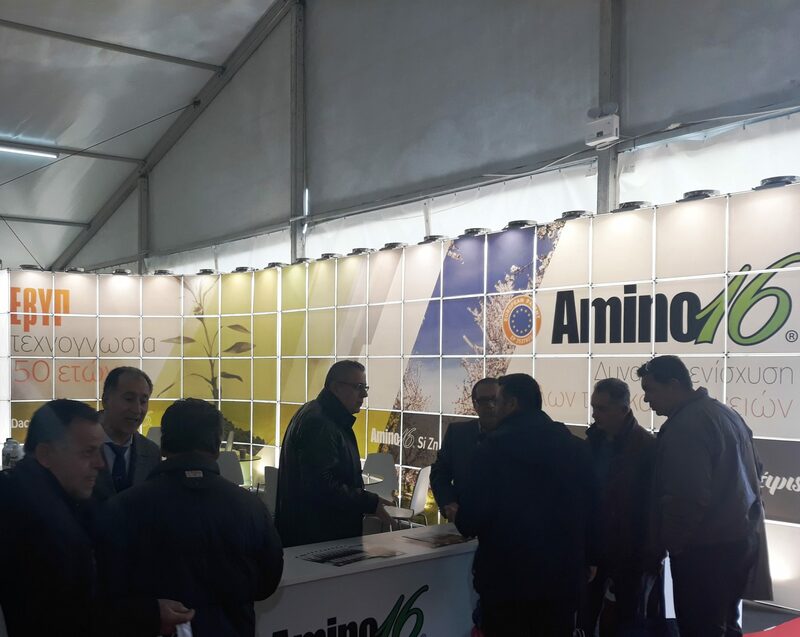 Thank you very much for visiting us, providing opportunities for sharing knowledge on applied crop nutrition!